I received so many comments and questions, I had to write more. Most of us have a plan how to get out of the house in case of fire. How many of us have a plan on how to stay in the house safely in case of a break in? So you have a designated safe room where everyone knows to go to? Do the kids know what to do, or maybe the safe room is a child’s room, with the parent going to them? Do you have emergency supplies? Phone, cell phone, flashlight, house keys on a bright, substantial, keychain that you can lob out a window to the police so they can get in without breaking in the door? Bright to be seen, substantial, or heavy enough to get a good toss. A gun? Extra ammunition? Do you know how to call the police? If using a cell phone, you will probably need to give them your address, is it written down nearby? We all forget the craziest things under stress. I only have one child and I still messed up her name when I got flustered. Give the police dispatcher as much information as possible and stay on the line with them. Tell them you are armed, where you are, how many of you there are, if there are any pets in the home, describe yourself and family members, tell them why you think someone is in your home and where they might be. Remember this is all being recorded. If you hear someone approaching your safe room yell out in your best authoritative voice; “Stop, I have called the police. I have a gun. Leave now!”. There are three likely outcomes. They may run away. They may keep coming, in which case you warn them again if there is time but you need to defend your family. (Disclaimer, this is not to be taken as legal advice, the outcome of a personal defense shooting can vary substantially by state.) The third possibility is you will hear a response yelled back by a familiar voice, something like “Mom, it’s me, don’t shoot” from the teenager sneaking in late. What about cover in your safe room? A standard interior door provides concealment but not cover. Concealment hides you from view, cover protects you from shots fired in your direction. Where are your family members? Hopefully, not directly behind you! They should be low to the floor, behind cover if possible, and not in your direct line of fire. What is on the other side of the door? Is that a safe direction to shoot? If you are in a condo, probably not, in which case you will really have to think through your plan. There are a lot of things to consider. Once you have a plan, and worked out the details, you need to practice it to ensure the whole family knows where to go and what to do. I hope you never need it, but if you do…you will be glad you thought it through. My blog about out and about prompted some discussion. We need a plan for in the house as well! Do you have a safe room? A place for the family to gather where you have access to a phone, flashlight, gun? Does your family know where to go, how to respond? Have you practiced? Have a plan, rehearse your plan. Even small children understand fire drills, so they can understand danger drills in the same way. Concealed carry with loved ones requires some thought and planning. I carry, my husband does not. We are very protective of each other, and in the past would probably have knocked each other down to take on a threat and protect the other. But the situation is a little different since I carry. He always has pepper spray with him, and is quite capable of taking on an average threat, but my gun changes the mix. We had to have a long talk about how to handle a situation if we were confronted. We agreed our response will vary based on the threat, the number of people involved in the threat and where we are. However, we agreed that the call is mine, and we agreed on a safe word, “Cover”. If I say cover, he knows I intend to draw my gun, or am already in the process of doing so and I need him to move away from me, to the rear on a diagonal to the closest cover and call 911. He also understands that he is to stay there until the shooting stops, so I can concentrate on the fight and not be worrying about him. That is hard for him, but he understands. The only thing he wouldn’t commit to was staying put until the police arrive. If I get hurt, all bets are off. When you, as a person who carries, are out with your family, they need to know that if you use your code word, whatever it is, they need to move…fast. You need to know they are on their way to a safe position and you can focus on the threat. Behind you, even for children, is not the safest position. You need to practice this, to ensure they respond quickly and without hesitation. Also, so you can give the command, even while drawing your gun. What is the difference between cover and concealment? Concealment will screen you from view but will not stop or significantly slow a bullet. Cover will screen and mostly likely stop a bullet. Get used to looking around and having your family notice what is around so they can distinguish and select cover without having the think about it. Why move away at to the rear and at an angle? You do not want them in your line of fire. You do not want them in the threat’s line of fire. If they are directly behind you, even moving, they are at a greater risk. If they are moving away at an angle, 45-40 degrees, then you can monitor the threat and either keep his, or hers, attention on you while they move to safety. These activities are important to discuss and practice. Just like a fire drill in your home, a safety drill is critical to the safety of your family, and to your ability to focus and defend yourself and your family without the added stress of having them next to you. Have you ever had the experience where you went to the range and felt like you couldn’t hit anything? I shoot 2-3 times a month, dry fire, practice with a laser and teach. I had this experience recently. It was frustrating! I thought I was doing everything right, but I could get two shots within 6 inches of each other. Frustrating was the mildest term I had for the experience. I slowed down, reminded myself to “Think Like an Instructor!”. What would I do with a student having this problem. First I cleared and laid down my gun, took a step back and physically, and mentally, shook off the stress that was building. Then I stepped back into the booth, got my stance, drove out without a pistol in my hands, mentally checking my posture. Ok. I brought my target back in to eight feet. Then I picked up my Glock, loaded it, checked my grip and came up to a low ready. I took a couple deep breaths, drove out, and fired three shots. The whole time I was focusing hard on the front sight, riding the trigger reset, making sure I had a good sight picture, solid grip, breathing naturally…I took my time. I brought the gun back to low ready and YEA! 3 new holes within about 1.5”. I’ll take that. I came back up and fired 3 more, focusing hard on fundamentals. I started to see light coming through the growing hole in my target. Ok, time to push out to 12 feet, 3 more rounds downrange, focusing hard on fundamentals…check? YEA! More light! Sent it back out to 15 feet and emptied a couple magazines making a very satisfying hole in the middle that I could stick my fingers through. Not exactly rabbit hole, but less than fist sized. We all have an off day. The key is to not let it get to you. Shake it off, and go back to your basics. Focus on the fundamentals. Stance, grip, sight picture, sight alignment and trigger control. Brian Jeffs and Nathan Nephew, with delightful illustrations by Lorna Bergman, wrote a book called My Parents Open Carry, available at the link above. 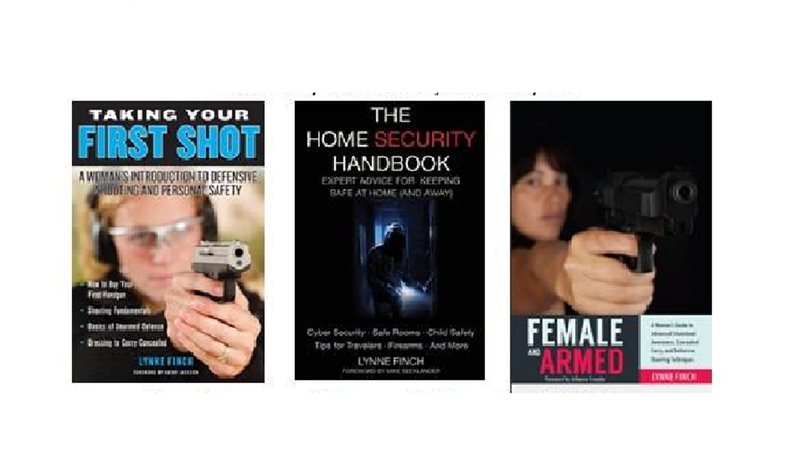 The offered two autographed copies in support of National Take Your Daughter to the Range Day. I read the book and it offers an easy to understand description of open carry, the 2nd Ammendment rights and the Unorganized Militia. It provides thoughtful answers to the questions many have about why someone would open carry as opposed to concealed. It is written in easy to understand language suitable for tweens and older. While there was one or two points I didn't entirely agree with, there were many that I did, and even I learned something reading it. I live in a state that allows open carry but have always carried concealed. After reading this book, I'm giving more thought to open carry. Would I share it with a tween? Absolutely! I think it may be a little too much for a younger child, but it offers some interesting thoughts and answers on the idea of open carry, why someone would want to and how to handle those who may question or be fearful. At the risk of annoying some of my male readers (sorry guys, no sexism intended) the ladies tend to outshoot the men, especially as beginners. Guys, it does seem to even out later as skills progress. This seems to be a common theme that I’ve heard from lots of other instructors. The consensus seems to be that the women do not come into shooting with the attitude of I can do this that so many men do. They are not as prone to have played “shoot ‘em up” video games, nor had the same experiences as the guys with guns at a younger age. Men can learn from this. Shooting is a skill. Like any other skill it takes learning the fundamentals and PRACTICE, PRACTICE, PRACTICE. The ladies generally don’t seem to think that they should know how before they learn and master the basics. In my own experience, I was a relatively new shooter, only a couple years, when I went to the range with a guy I was dating at the time. He went all “macho” on me, he knew how to shoot, he’d been trained by the Navy (I was active duty, too). We took turns shooting. I was hitting what I was aiming at, which was not the bulls eye (I know, but it was a long time ago, I don’t do that anymore). Then, he made some arrogant comment about shooting better than me. Mind you, he was all over the target, too. So..I emptied the last magazine in the center of the target, with that satisfying explosion of cardboard out the back, and just smiled. Ok, what is the take away? Fundamentals are important! Learn to shoot the right way, practice your grip, your stance, your aiming, your trigger control… None of us walked in a straight line the first time, we wobbled, fell down a few times. It takes practice. I think the biggest difference is mind-set. I know some amazing shooters, men and women. Give yourself a break, none one shoots perfectly the first time out. But, with practice, patience and perseverance, you can be good. We can’t all be great, but we can be good! Holster Mania…the condition where you have more holsters than guns and most of them are in a bag or a box. For most of us, we find our holster via trial and error. Some like kydex, some like leather, some like a combination of the two. Some even prefer the reinforced ripstop fabric. But once we find that one holster that fits, feels good, works with our clothes…well, it is recommended that you train and carry in the same way as much as possible if not 100% of the time? Why? Imagine if you train and usually carry strong side hip. One day you go out and decide that based on what you are wearing that day you need to carry in a cross draw inside the waistband. That day, you find yourself in a situation where you suddenly need your firearm. Where will your hand go? To your usual place, the strong side hip, then you are fumbling to find your gun. In the interim, you have lost precious seconds, telegraphed to the threat that you are probably going for a defensive tool of some sort, so he (or she) knows you may be armed and might be using those precious seconds to close in on you. Hence, the Holster bag…Ahh, if only we could do a swap meet for holsters? They are expensive so we don’t want to throw them away! How do you find the perfect holster? That is a tough question. First, if should be made specifically to fit YOUR gun. Generic holsters do not provide good retention without a strap of some sort which is one more thing you need to defeat to draw your gun. How do you normally dress? Do you like really tight slacks and loose shirts? Do you wear a belt? All things to consider when choosing your holster. Inside the Waistband, Outside the Waistband, with a metal clip or two, with belt loops… The package says it fits your specific model. Ok, ask if you can take it out of the package to look at it? Ask if you can try your gun (or better yet one of the gun shops guns so you don’t have to unload and clear) in the holster. Over a soft surface, like a padded rifle case, gently turn the holster upside down and give it a shake. Does the gun fall out? If yes, that isn’t the one for you. Maybe if there is adjustable retention, and you can make it a little tighter. Ordered on line? You can test it over your bed with an unloaded and cleared, check it twice, gun. Ok, it stayed in the holster? YEA, good first step. Now, you need to try it on. You might have to buy it before you do that. Get a feel for it. Is it comfortable? Does it poke you in strange places? Can you reach it comfortably? If it has a sharp edge, is it somewhere you can file it down a little? Can you sit down while wearing it? Sometimes the trick is to try someone else’s holster collection on for size or go to a Concealed Carry Class where you can be exposed to lots of different ideas. Don’t get discouraged, the perfect holster for you is out there, it just may take you a while to find it. Last I counted I had more than 25 in my bag, and that isn’t too bad. Of course, they aren’t all for the same gun…I guess I need to sort them by gun one of these days, LOL. Holsters are kind of like shoes, some pinch, some are too big, some are just uncomfortable and some…just right! Think so? Only if you practice perfection. Practice makes HABIT! If you practice the wrong technique, it will become a habit. Trust me, habits are hard to break. I wracked the slide for years by grasping between my thumb and index finger. It was really hard to learn to cup over the top. I do it now, but…unlearning the wrong way to replace with the right way? Very hard! It is believed that it takes 1,000 repetitions of an action to make a habit. But it takes twice that to break a habit. That means 3,000 repetitions to break an old habit and replace it with a new one. That sounds like a lot of work to me. I’m lazy, I’d rather learn it right the first time! Next time you are practicing, anything, ask yourself if you are doing it the right way? One reason this is so important with shooting is in an emergency you will react as you have practiced. If you practice catching your magazine and putting it down before grabbing a fresh one to reload, what do you think you will do if your life is in danger? I’ve heard people say “I would never do that in a real situation”. Sadly, many studies found Police Officers dead after a confrontation, with brass in their pockets. Why? When they went to the range, they would shoot (revolvers), catch the brass and put it in their pockets so they wouldn’t have to pick it up later, and then reload. What happened in a real situation? They did exactly what they practiced. Do you catch your magazines when they are empty or do you let them fall. They’re expensive, what if it breaks? Think about it, if it breaks from a drop, did you really want to trust your safety to it? Do you use the slide lock to release your slide? Yep, that little button is a Slide LOCK or Slide STOP, not a slide release. Why can that be a problem? One, your slide may not come forward properly, resulting in a failure to go into battery, the round may not feed correctly…and…that little piece of metal can break over time if used for other that its intended purpose. Plus, fine motor skills versus gross motor skills. Maneuvering tiny objects is a fine motor skill. What do you think is the first to go in a high stress situation? National Take Your Daughter to the Range Day is making progress. Every time I type that out I wish I had come up with a shorter name, LOL. We launched the idea just about 3.5 weeks ago. In that time, we have started a non-profit corporation to serve as an umbrella for fundraising and coordination, we have launched a website, been contacted by over a dozen ranges and growing, passed 850 likes on FaceBook, found wonderful volunteers to help with writing, graphics, even an on-line store for logo merchandise! And…our first event is in just less than four month! YIKES! One of my more exciting moments came when I was contacted by the folks at USA Shooting. They recruit, train and work with the Olympic Shooting team. They had heard about us and wondered if we could cross promote each other. Tell kids about the opportunity to shoot and dream of competing in the Olympics? Ah, YES! See Path to a Dream on the website. This will be an Annual Event. We will start planning next year in July. We heard from a lot of ranges that wanted to participate but there wasn’t enough lead time to get their boards to approve and promote the event. So, if you can’t do it this year, plan to do it next year. If you can’t find a range in your area…Plan a Family Day of Safe and Fun Shooting on your own. We will all be with you in spirit and then send pictures! We will be posting lots of photos from events and private outings across the country. On an administrative note, we really need some financial support for the infrastructure. None of the directors will receive any compensation. However, we have been spending our own money to incorporate, start up the website, get legal reviews of documents, etc. We are happy to do it, but can’t afford to sustain this on our own. By next week there should be a donate button on the website. In the interim, if you can afford to help, anything is greatly appreciated. Please visit the website for Sponsorship information and how to contact us. We are running this with volunteers, and using electronic media as much as possible, but there are some overhead costs. If we can get a small nestegg growing, we can be self sustaining and continue to grow and promote safe shooting and empowerment of young women for many years to come. Thank you for all of your encouragement and support. Please visit us at www.NationalTakeYourDaughtertotheRangeDay.com. I had a chance to work with a few experienced shooters this weekend who were preparing to take NRA instructor classes. One gentleman in particular was a little older and had been shooting for many years, having picked up most of his knowledge in the Army. He was good, but as we walked through the fundamentals, making minor adjustments to stance, grip, trigger control…his grouping kept getting smaller. He had given me a couple funny looks as I was asking him to change things, but was willing to go along with the “Young Lady” (if you have read much, or looked at my picture, you know I don’t hear that often J). Well, when he saw his groupings getting smaller and smaller, he got a big grin and told me “these differences really work!”. I felt like I had won the lottery. Usually when I work with a shooter they have just completed a class and have the NRA fundamentals down, at least in their head if not in practice. To be able to tweak an experienced shooters technique and get a positive result…Wow! It also reminded me of something I’ve written many times, we all need instructors, and we can all learn something new. I've been tagged, again! Thank you!!! The meaning of the German word, “liebster,” is ”beloved person, liked very much, preferred above others, liked or loved above others.” And while I know that none of us could pick just our very favorite top few blogs for this award, many of which are new to us, it’s nice to know that someone likes us enough to share us with their world. 3. Pick our five favorite blogs with less than 200 followers, and leave a comment on their blog to let them know they have received the award. What is in your tool kit for your personal protection, personal defense? There are so many different situations, and so many different responses. What tools do you have? For me, the first is situational awareness. If you don't know what is happening around you, you can't respond! Second is "what ifs", that process of thinking what if X happens, what will I do? I've taken Pepper Spray Training, I take Personal Defense Training, www.novaselfdefense.com, (not martial arts, but personal defense, there is a big difference). I hadn't been hit since high school, and I know that statistically a male attacker will try to put a woman on the ground where she is more vulnerable. Personal defense is about responding to the intial attack and getting through it to get to the next line of defense. I have a few physical limitiations, so I prefer personal training to a class, we can go at my pace and work with my limitiations and incorporate my tools. I carry a kubaton, I carry a gun, I carry a whistle. I have a voice, I am not afraid of telling someone to back off in a way that let's them know that to keep coming is NOT a good idea. These are all part of my "tool kit" to avoid, and if necessary, respond to a situation. It usually has my ears, my eyes in a hard case, extra pair of reading glasses in case I’m wearing contacts that day and can’t see anything less than 5 feet away. It also holds a few boxes of ammo, in whatever caliber I plan to shoot that day, a sheepskin gun mat to lay on the table, a squib rod, lots of targets (cheap ones because I usually turn them blank side out), a roll of bright orange 3” dots, a pack of ¼” dots, stickers to go on the blank target. My instructor always says “aim small, miss small”. Easy for him, he is REALLY good. The 3” dots are mostly for students, but sometimes I need an ego boost and something bigger to aim at so all of my shots are inside. I found a plastic piece that is used to adjust the Velcro attachments on some holsters, even though I don’t carry those holsters anymore (catching on to the purse reference?). A gun magazine, in case I have to wait for a lane. Pens, business cards for the company I teach with and for my blog, a mini-leatherman tool, a knife, a flashlight (ok the knife and flashlight are often in my pocket when I’m dressed as an instructor, but in my jeans just me…they are in my bag). Maybe one gun case, if I’m taking something else to play with. So, what do you carry with you when you go to shoot? And, how long has it been since you’ve really dumped out your range bag? I was surprised by what I found in mine. Anyone need a Velcro tool? Maybe I’ll keep it, you never know when it will come in handy, fishing something out of a small space! Why did I become an instructor? From the outside looking in it may have seemed like a crazy idea. I work full time, I have a 4 hour commute (round trip). I had my weekends free, I could go to the range whenever I wanted, I’m naturally shy and introverted…what was I thinking? Now, most work weeks are 7 days. Some of that time is sitting in the class watching someone else teach and some of that is teaching (talking or on the range). Do I sometimes miss my weekends? 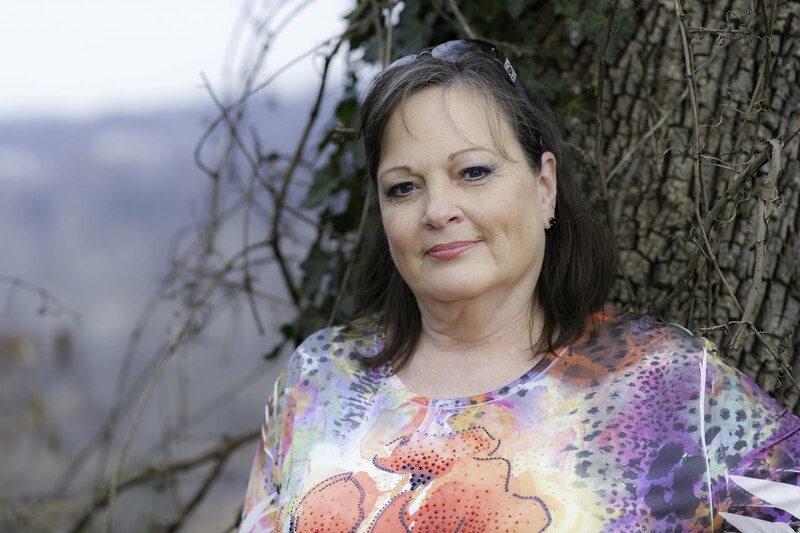 I’m over 50, have fibromyalgia, so YES! But…my fibro is better since I’ve been teaching. I’m calmer, happier, but much busier…that took some serious thought. Working with Evan and Dave at Innovative Defensive Solutions, LLC., helped me find a confidence I thought I had lost, or maybe didn’t realize was there. It gave me an outlet from day to day nonsense, drastically improved my shooting skills and firearms knowledge, and helped me find my voice and a purpose. We all need that, and sometimes we get it from family or our jobs, but when that doesn’t work we need to look elsewhere. Since I became an instructor I started this blog, two FB pages (Women Firearms Instructors and National Take Your Daughter to the Range Day – which just went over 800 likes in less than 3 weeks). I found my voice. I learned that in teaching and helping others on their path to shooting, I was sharing my passion for the sport. It may seem like I was giving something but I found I was getting so much more! I learn something from every class. I get excited for the students on the range when they do well, and I’m as excited as they are. I’ve met so many wonderful, smart, funny, supportive people through Face Book and this blog, I can’t thank them all enough for being in my life, and I know there are more friends out there that I haven’t met yet. And…my latest endeavor. National Take Your Daughter to the Range Day. Yesterday I got a call from someone at US Shooting, they oversee the US Olympic Shooting team and what I like to think of as “the path to dream” to get to that level. I was in awe, I was talking to a man who represented our great nation at the 1976 Olympics! Wow…he wanted to know if they could link to NTYDTTRD to reach out to young shooters to help them discover that path to dream. Gulp…OK! Are we crazy busy? YES. Do we seriously need donations, DOUBLE YES, the start up costs are brutal. But, do I fall asleep at the end of a long day of answering emails, tweaking the website (or trying to learn how to tweak the site, LOL) with a smile and a sense that we are doing something amazing? Yes. In the few short weeks since this idea was published to the world, the support, the photos and the emails have been incredible. I’m so excited. We, all of us in this warm, loving, shooting community, are bonding together to teach safe gun handling, self esteem and FUN. With our friends, our children…each other. When I wondered why my Fibro didn’t seem so bad I realized…I’m happy. I feel I’m doing something good for someone besides me. Amazing what putting yourself out there for the rest of the world does for the little world inside your own skin. Yes, I will get back to shooting tips and practical advice very soon, but wanted to send a big thank you to my new friends, and the friends I haven’t met yet. Sometime during the night we crossed 4000! Wow, I am overwhelmed. I know my content has been a little light lately, but I'm getting the hang of the website, www.nationaltakeyourdaughtertotherangeday.com and the emails are starting to come in fast and furious. Lots of people want to take info to the boards of their ranges to get them to agree to participate. I'm so excited, on multiple fronts. You have gotten behind this in a huge way, there is so much support, and positive energy, it is what is keeping me going. Thank you. I can't wait to look back on this first year, say 5 or even 10 years from now, and know that we have participants in every state and that there are girls and young women learning to shoot safely, and having fun! Thank you all so much!!!!!!!! I may be a little sensitized because it involves a person I consider a friend, but I make it a point not to write about someone else’s experiences unless I check with them first. Recently there have been multiple posts, with multiple viewpoints, that refer to someone’s very personal experience. One of the ways she used to deal with what happened to her was to blog about and share her story, however, that is still her story and doesn’t make it public domain. I think if we all ask ourselves how we would feel if we read our story in someone else’s print, positive or negative, it might make all of us better writers. I've been a little busy with National Take Your Daughter to the Range Day activities. But...please come visit us as www.NationalTakeYourDaughtertotheRangeDay.com . We are still putting the finishing touches on it, but are close and starting to register ranges. We are also starting to actively solicit sponsors and donations. These will not be tax deductible, sorry. We are working on that. But we have put out a lot of our own money to build the infrastructure (non-profit corporation, website, etc. ), and will have more expenses coming with shipping prizes and such. We will have a donate button soon, but in the interim, if you would like to help, you can contact me and I will let you know how. None of the Directors are receiving any compensation, 100% goes into the event and the backbone for the event. All cash donations will be used for expenses. All in kind donations, unless specifically targeted to the local event Evan, Russ and I are hosting, will be distributed by random drawing from all registered ranges about 30 days before the event. If you would like to help, please let me know. You will be listed on the sponsor page (unless you ask to remain anonymous). Thank you all for your patience and your support. I think this year will be great but we will learn so much from it that next year will be even better! I was pleasantly surprised last week when the Gun Divas left a message that she'd given us an award. Hopefully, you'll see this award continue to get passed around, as I plan on doing my share to spread the love. I've been tagged!!! Thank you Gun Divas!!! Recently, my instructor told me I needed to be higher on the backstrap. Looking at my grip, I probably would have said the same thing to a new student. When I tried to inch up (fraction of an inch actually) I found the recoil was more painful, I was adjusting my grip every couple rounds, and I started anticipating the recoil. How did I know? My shots were centered and low. (more on reading your target in a future blog). I kept trying to find the sweet spot for me, and when I did I was once again drilling the dot. However, it was a little lower than I would advise. So…now what? I had good control, good grouping, but my grip looked a little off. Mmmm. Ok, admittedly, we all have a sweet spot, but they should be pretty close. What does this mean for me? I need to practice with a higher grip until I can control it and then have my instructor re-evaluate. What is the take away for you? A couple things, 1., be aware of your grip, and make sure you work with someone who knows to ensure you have it correct. This is important because it is a lot harder to break a bad habit than to form a good one. 2. If you are consistently shooting low center, you are anticipating the recoil or jerking the trigger, assuming you had the correct sight picture, and there are ways to overcome that, but it takes practice. One way is to have someone else load your magazine and insert a dummy round. (ball and dummy technique). You won’t know when it is coming up and you will see yourself drive the barrel down. That will help you realize that you are doing it and give you some feedback to break yourself. Another way is to safely practice dry fire with an empty cartridge or coin on top of your front sight or your slide. Does it fall off or stay put? Why Teach Your Children to Shoot? Some people seem to think that children and guns do not go together. Anyone who has ever watched a group of kids at play, be it cops and robbers, Army, or Cowboys and Indians (I know, not PC), knows that they will imagine a gun out of almost anything. Teaching your child to shoot serves several purposes. It offers bonding time as a family. It teaches them early about safety and safe handling of firearms. Children who grew up with a firearm in the home, and learned from an early age how to first respect and avoid it, then as they became older how to handle it safely with supervision, are less likely to handle it out of curiosity, possibly with serious consequences. Shooting can become a lifelong sport, it can be enjoyed by people of all shapes and sizes as well as by many people with various disabilities. You may be a sunny day plinker, a serious competitor, interested in personal defense or a hunter. All of that is OK! Children, especially girls, can develop self esteem by mastering a sport that is challenging and often male dominated (although the ladies are closing in!). Plus, it teaches a girl about self respect when she goes to the range and drills the target. It also offers bonding and closeness with older family members. These are all important as a young woman reaches that dreaded “dating age”. She will have learned that she has value, she can take care of herself, and she is confident in her abilities. She will not be easily intimidated and will expect to be treated with the respect she deserves. Personally, I can’t think of a better reason to learn to shoot. Of course, it is followed very closely but IT’S FUN! Many people have asked how young is too young. Only the parent can decide that, but probably 6 is a good time to start thinking about it. I’ve heard from people who started their kids with Airsoft guns, teaching them the same fundamentals and safety skills they would use later with the real thing. What a great idea! So take your daughters, and your sons, to the range. Teach them the safe way to handle a firearm. Consider some of the NRA Youth Programs, or let them attend a formal class. Share the joy of shooting and build a bond with your family as well as teaching them safe practices.